Cumberland Valley sits conveniently at the midpoint of the Appalachian Trail. With 46 miles in Cumberland Valley, there&apos;s 13-mile stretch, which one of the flattest and most accessible portions of the entire trail—is a great way to explore this iconic hiking path and may just inspire you to thru-hike the entire 2,160-mile trail! While you’re in the area, pay a visit to the Appalachian Trail Museum in Pine Grove Furnace State Park, the country’s only museum dedicated to the A.T. There, you’ll learn about some of the trail’s famous thru-hikers and read about the history of the trail. 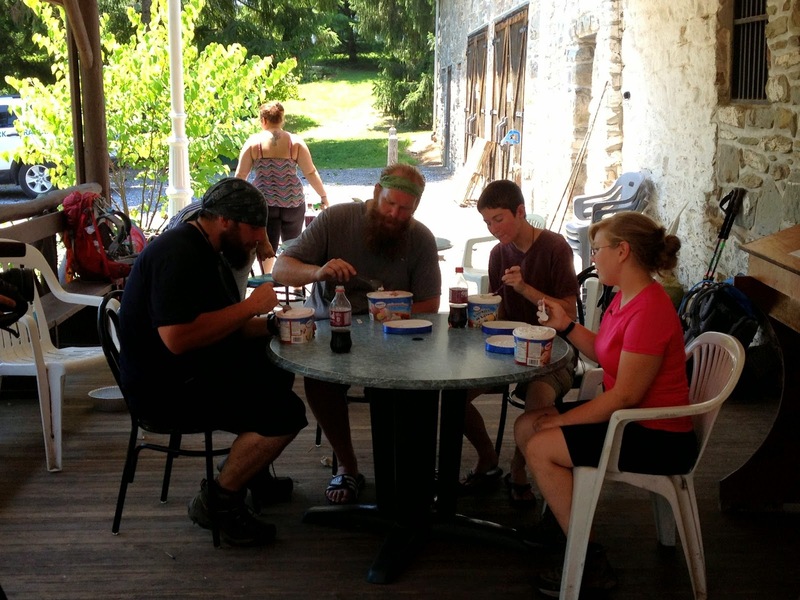 Across the road, at the Pine Grove General Store, you may be lucky enough to spot a famous A.T. tradition: thru-hikers attempting to eat an entire half gallon of ice cream in celebration of reaching the midpoint of the trail. Round out the day by staying at the Iron Master’s Mansion, a popular resting spot for thru-hikers. The hostel portion of the facility hosts many hikers in its dormitory-style accommodations. If your timing is right, you can hear the stories of thru-hiker guests on their way down (or up!) the A.T. You can also find a collection of lodging opportunities here. If by then you’ve been thoroughly inspired ,try one of the many fantastic hiking trails throughout the Valley. One of the most popular is the Sunset Rocks Trail. This steep trail offers great views of the valley and—for history buffs—takes the hiker to the ruins of a top-secret World War II POW camp. Likewise, the five-mile round trip Flat Rock Trail starts Colonel Denning State Park and winds its way to the top of Blue Mountain in Tuscarora State Forest. At the top, the trail offers a unique natural rock outcrop overlook, boasting an amazing 180-degree view of the Valley. From the famous Appalachian Trail to our unique CumberlandValley hiking paths, we’ve got everything for a lover of the outdoors, so come find what you’ve been missing out on.